Participants will be introduced to rules and regulations governing each general travel expense type and will be prepared to assist their department personnel to comply with various regulations. The value of University Travel Department services, such as corporate credit cards and the use of on-site travel agents will be summarized. A detailed demonstration of the travel expense web reporting tool will enable and authorize the participant to use the on-line system accessed through the University portal. 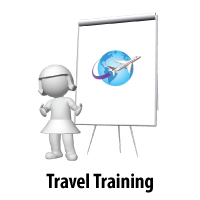 Completion of this course will give you access to the Travel system.